A stuffed horse named Jake. Stick horses ridden around the back yard with her best friend. Books about horses; Misty of Chincoteague, The Black Stallion, National Velvet, By the Shores of Silver Lake--the part where Laura rides the pony. My daughter has always loved animals and horses have always been pretty high up on the list. Her grandparents gave her some money to spend however she wanted. 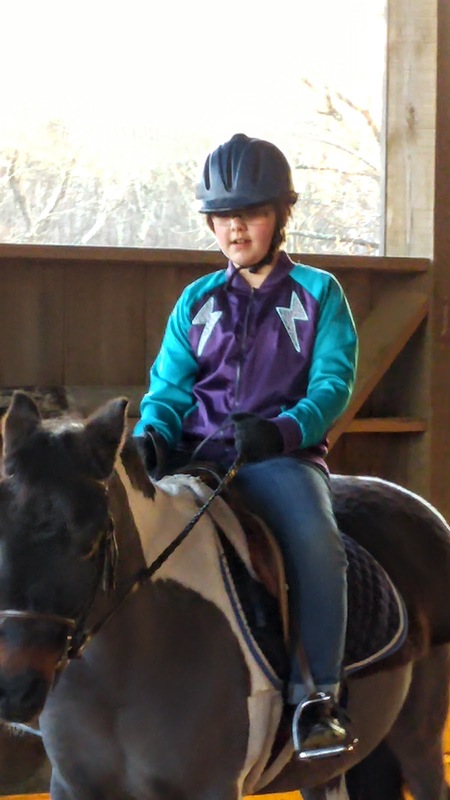 She chose to buy herself a few horseback riding lessons. I don't think I have ever seen her so happy. She started off very quiet and solemn, that intense silence of a child who is completely enjoying herself. By halfway through the lesson she was smiling constantly. I was impressed with the farm where she took her lesson. The instructor was kind and patient. She spent a lot of time explaining everything she was doing and had Celia help with all of it. She said they teach the care of a horse, not just how to ride. Celia was taught how to comb and brush the horse, how to put on the saddle and bridle, and how to lead the horse to the riding ring. Then she rode the horse, a real horse and she was on it. I am not sure life gets any better than that. At least it doesn't for an eleven-year-old girl. It is pretty special to see your child doing something that you know she will remember for the rest of her life. I was proud of her because she tried something so completely new and different. Of course, it made me happy to see her so happy. Celia is literally counting the days until she goes back. We are spreading the lessons out a bit so they aren't all over in a month. We think that gives her something to look forward to. She thinks the wait is going to kill her. Either way, it seems we have started something we are going to find it hard to stop. How do you tell her the dream is over? I don't think we can. 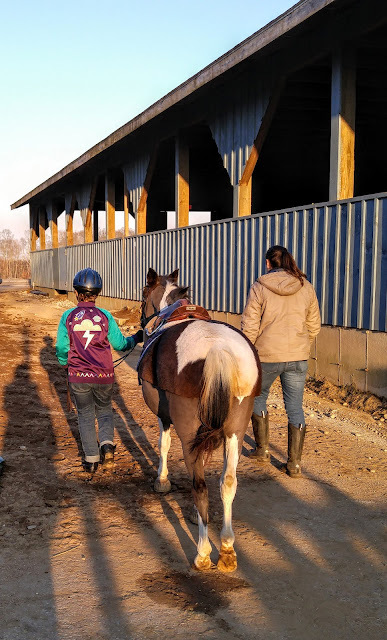 One of the first things Celia said when she saw me taking photos was that she thought I should write a blog post about her riding lesson. So, this post is for her. The post has been heavily edited by Celia. She made me change some of the photos and she didn't approve of some of the wording. She does, however, agree that the wait is going to kill her. Twenty days? How is she going to survive? I'm glad she got the riding lessons when she clearly loves horses so much!Happy 2017! It makes me happy just to watch her. It is nice when things live up to expectations. What a wonderful post. We loved seeing the additional photos. Well done, Jenny and Celia. She had such a wonderful time! I am actually pretty proud of her. She knew what she wanted and did it and she wasn't intimidated by trying something so new. Now she is insisting she must save all her money for future lessons. She walked down the stairs while I was typing this and informed me that it is 17 whole days till her next lesson. She has a running countdown going. Your daughter's interest in horses and riding is a wonderful direction for a young person to take. It sounds as if this might turn into a life long interest. I notice that when it comes to horses, that is true of a lot of people. I was smiling all the way through this post, which brightened the end of a trying day. I hope there will be a Part II, in the next 20 days. I am glad you enjoyed it though I am sorry to hear you had a trying day. I am sure there will be a Part II. Celia is always convinced her life is perfectly appropriate material for my blog! Oh my goodness, Celia could be me! 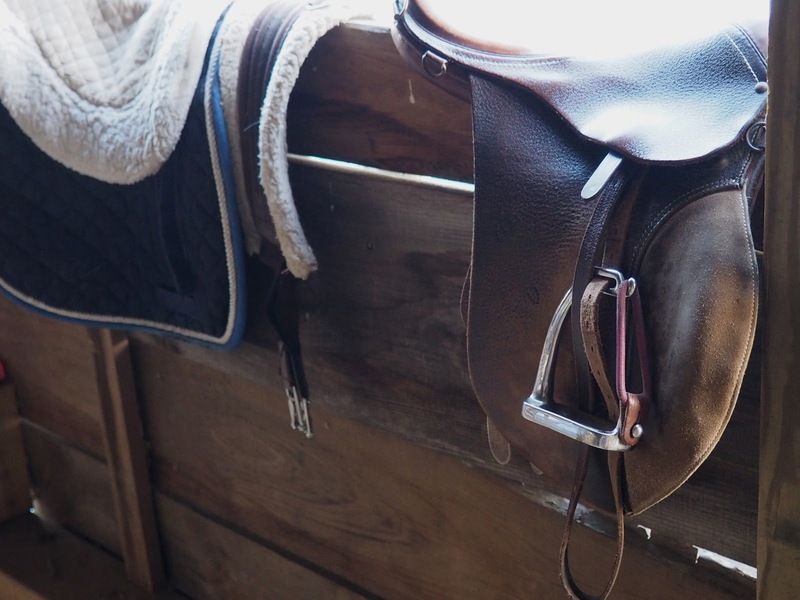 I have loved horses since I was 2, and when I was little, I loved visiting one aunt and uncle's farm once every couple of years because Uncle Jerry would saddle up his oldest, gentlest horse, and either he or my dad would take me on a short horse ride. When I was about 11, I got to take four riding lessons one summer and was in absolute heaven. 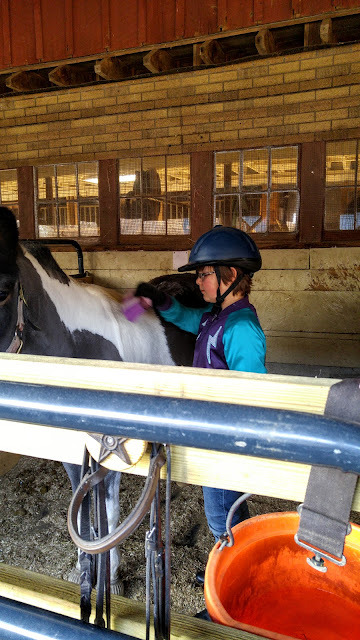 I did a week of horse camp a couple of years later -- so much fun mixed with so much learning! Then you completely understand her feelings right now. She bought four lessons. I am sure she intends to buy more but I don't know if we will be able to find such a bargain again. I don't think I am going to mention that horse camps exist! I am sure she would be desperately trying to come up with ways to go. The horse camp I did was through 4H, and it was just for like 4 or 5 hours a day for a week. Are there any horse-oriented 4H clubs she could join? 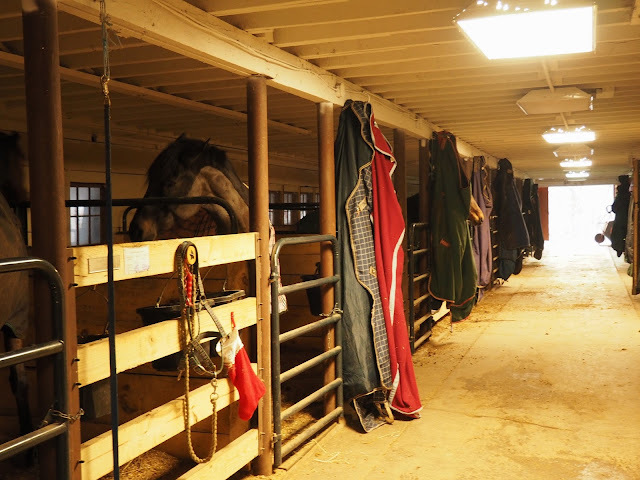 That would be a great way to learn, and often a horse camp through them is cheaper than one you sign up for privately. Oh, that is interesting. I'll have to look into it. Thanks for the suggestion.